Error: product key not found. 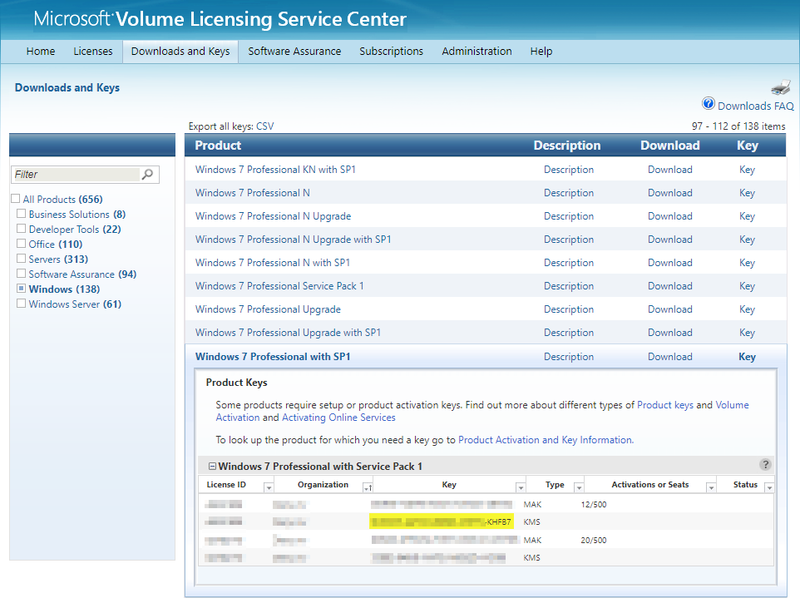 Licensing Data--> Software licensing service version: 6.1.7601.17514 Error: product key not found. I have executed the script below on the computer, which (correct me if I'm wrong) are basically the same steps as in your screenshot. I have executed this on several different Windows 7 computers (after uninstalling KB971033) but the problem keeps returning. Then I've tried manually configuring the KMS host and activating online. 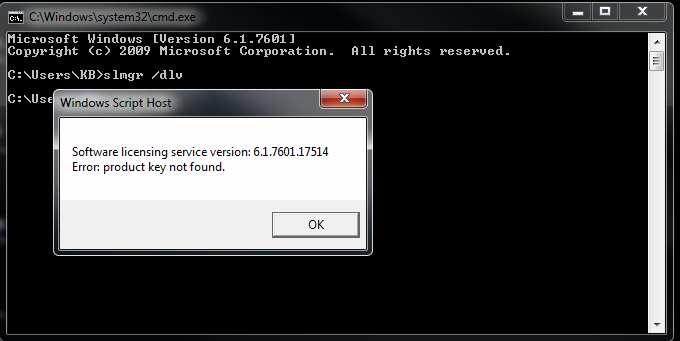 Then I've executed the script from Microsoft (Access Denied) again which works to temporarily activate Windows again. Dlv is quoting a partial of KHFB7, last of the 5 blocks product key ?. The question is where did it get it from? appears to be over-riding your KMS. Its certainly not a part of any default OEM, Retail or KMS CLIENT key. Both Mgadiag and DLV report that its trying to validate against the MS servers, which we know is wrong. does a rerun of Mgadiag show the unknown key or the KMS client default. 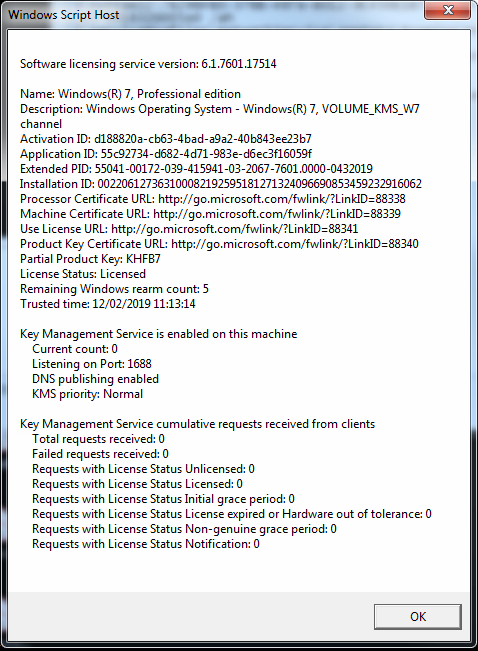 My bad, I forgot to mention, after the KMS client key FJ82H-XT6CR-J8D7P-XQJJ2-GPDD4 (which I got from the Microsoft support article) didn't seem to work on several computers, I decided to try a KMS key from our Microsoft Volume Licensing Service Center. And run the Mgadiag, copy/paste the results please. Just had to fix another activation. Result: Key Management Service machine name set to <our kms hostname> successfully. Result: Windows Resource Protection did not find any integrity violations. 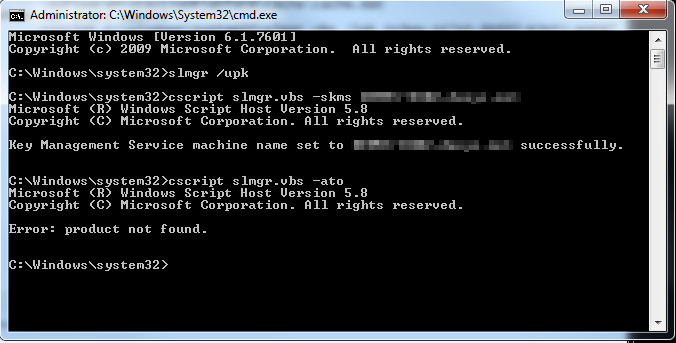 Ran the activation script from Microsoft with our KMS key (ending in KHFB7) from the Microsoft Volume Licensing Service Center. Ran the MGADiag tool after activation. Well that looks better, Lets hope it sticks. looks like kb971033 needs to be re-installed. Activation Fail and no Phone activation possible.